ProBook is a single fully responsive HTML template. This Theme is the perfect for people who are Selling Ebook. 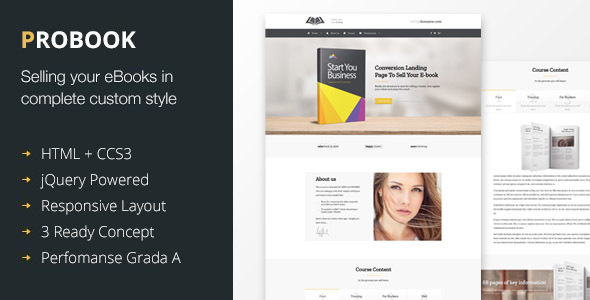 ProBook theme has modern and functional design specially built for Publishing House or Bookstore. The theme can be suitable for any Publishing service business or Book-Author official website, it also can be interesting for Libraries, Literary Clubs, Digital and Media online stores. ProBook is fully responsive, so it looks amazing on any platform.